Chickens are and always have been our life! Barter & Sons Hatchery was established in 1933 and has always been focused on breeding traditional laying breeds which are ideal for keeping around the home, be it a suburban backyard or on a farm. We believe in treating our chickens well and are committed to high quality care and responsibility which cares for, supports and nurtures the hatching and raising of chickens. We also believe in keeping the traditional breeds true. Our traditional laying breeds are akin to the unimproved varieties of vegies that are being preserved by Diggers Seeds and the Seed Saver Network and the heritage fruit cultivars. According to the Australorp Club Of Australia "Barter & Sons probably has the oldest original commercial purebred layer strain in Australia". We are dedicated to meeting the needs of all our customers from Families, Business Owners, Farmers, Teachers, Children and the wider Community. Barters have provided quality service and genuine care of chickens for our customers for 79 years! Barter & Sons is a family run business. 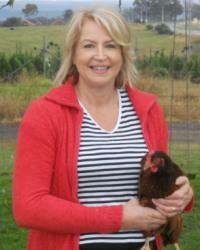 We delight in meeting our customers and hearing stories about their chickens. Seeing the joy that raising chickens provides to families and then their children in turn go on to raise chickens with their children, we can see the everlasting memories chickens create for families. We love chickens and believe we provide an unmatched service to our customers!